Join us for an evening of dancing at the Disco. Shine up those dancin' shoes and dust off those old polyester leisure suites. Grab your partner and we will meet you on the dance floor. 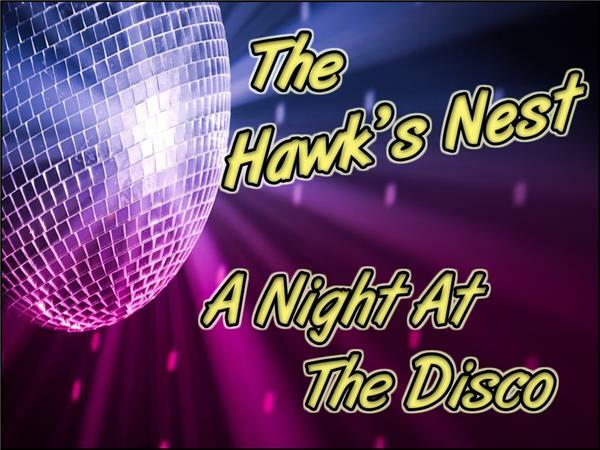 Disco has come to The Hawk's Nest.